Our dear friend Cathy Kuipers passed away on 27 March, 2019 in Brisbane, Australia. Cathy was one of the founding members of Operation Hope Australia and quickly jumped at the opportunity to volunteer in refugee camps in Greece in September 2016. 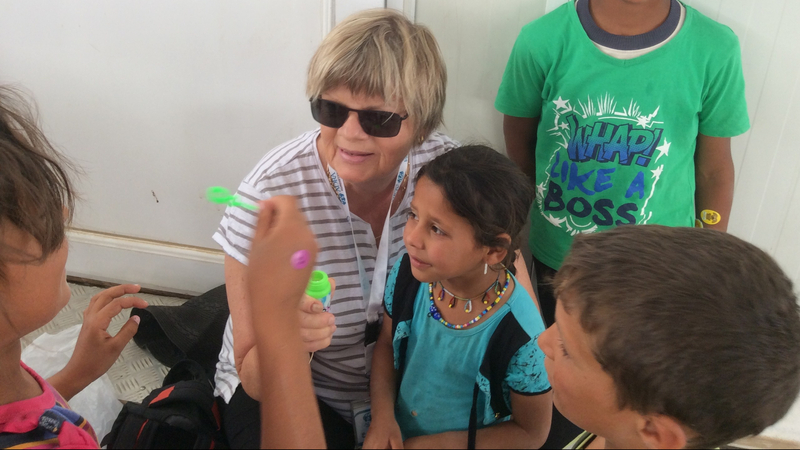 She then joined us volunteering at the Hassan Sham U2 camp for internally displaced people near Mosul, Iraq in May, 2017. Cathy continued to be involved in the financial side of our activites up until the time of her death. We miss her enthusiasm, her jest for life and wicked sense of humour. Cathy had a real heart for refugees both in Australia and overseas. Our sincere sympathy to her daughter Cara and family.